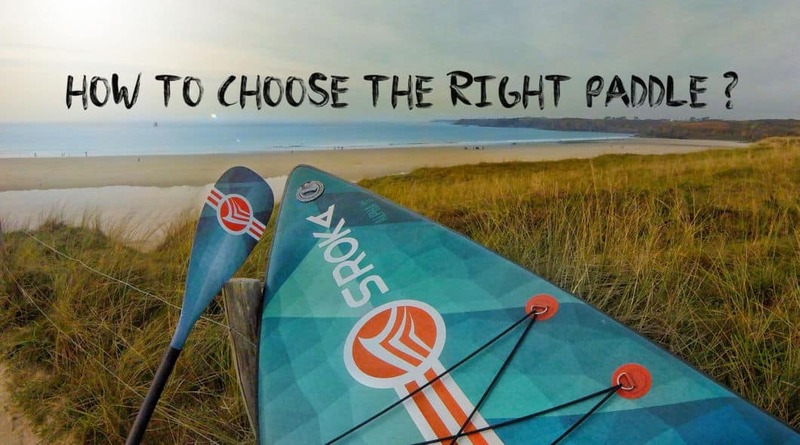 How to choose your paddle ? It should not be forgotten that the paddle is the engine of the Stand Up Paddle. Therefore, the choice of paddle is very important according to your different practices. 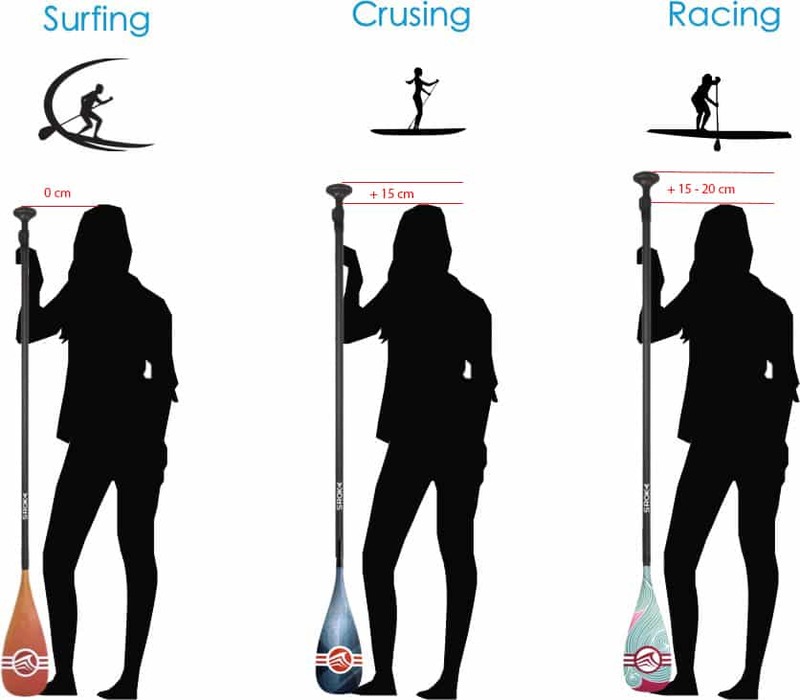 To paddle properly and be effective in your movements without injuring your back, the length of the paddle must be adapted to the size of the rider. The objective is to be effective with each stroke of the paddle. To do this, the blade must be fully submerged to achieve the best performance. 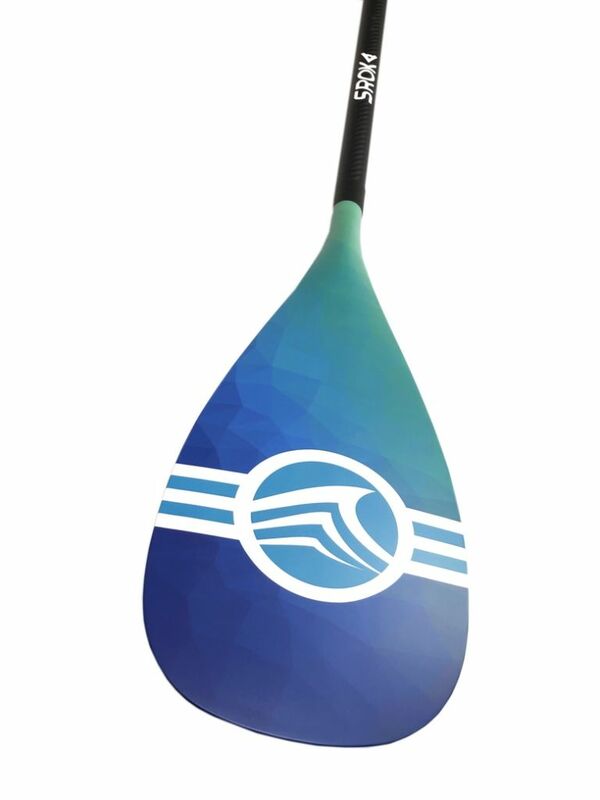 If you touch the water with the tip of the paddle you will not be able to have an optimal speed. In the opposite, a paddle that is too large will cause slow movements, especially in the action of bringing the paddle forward. If the paddler is straight as an i when paddling then there is a good chance that his paddle will be too big. 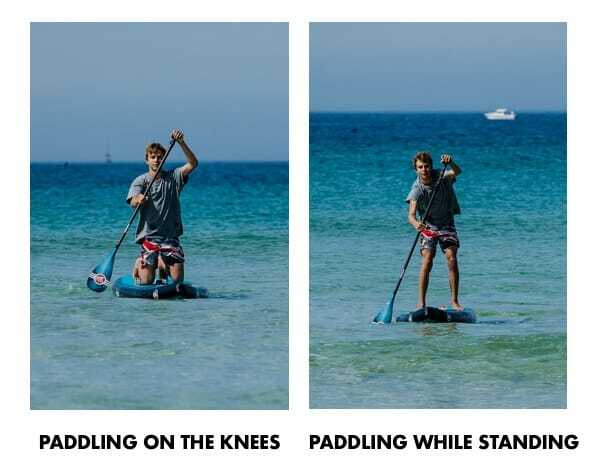 Paddling involves using the entire upper body and not just the arms. HOW TO ADJUST YOUR PADDLE ? But this becomes more complex depending on the thickness of the paddle : with a 12 cm thick board you can slightly reduce the length of the paddle, whereas with a 15 cm thick stand up paddle, you will have to slightly increase the length of the paddle. On a narrower board, the length of the paddle can be slightly reduced, while on a wide board, it will have to be slightly increased. Easily adjustable, the 2-part and 3-part paddles will allow you to use it in groups, as each will be able to easily adjust the right length for their size. A 2 or 3 part paddle is a versatile paddle, it offers the possibility to do several sports activities while keeping the same paddle. You can simply modify its length according to the activity carried out whether it is in wave, race or cruising. 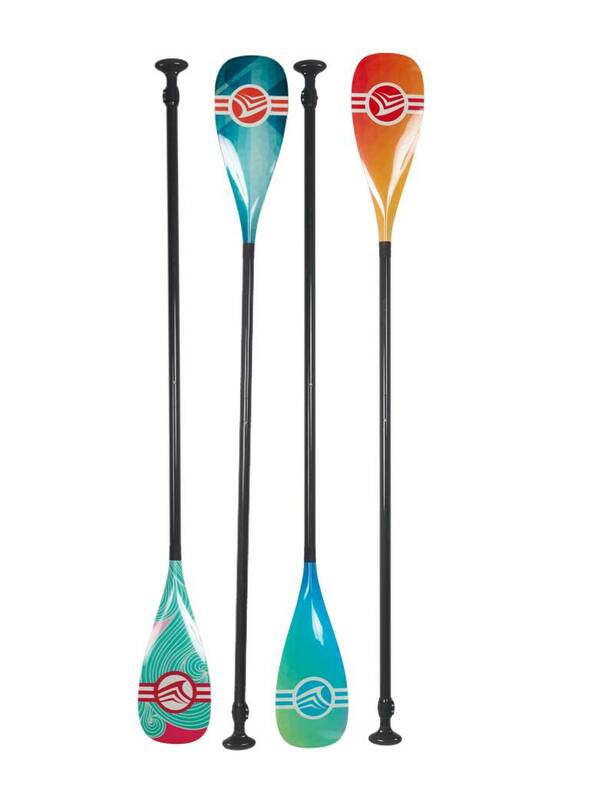 In addition, multi-part paddles are a good option for easy travel. 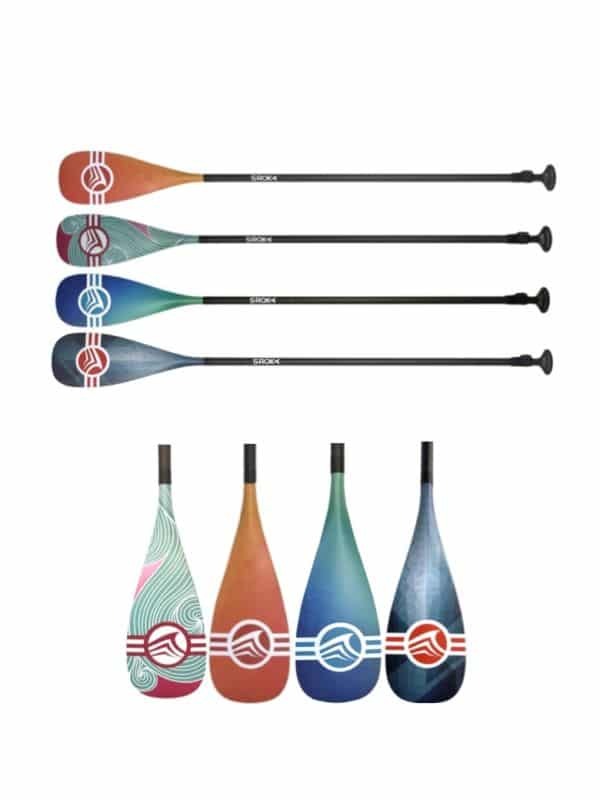 The SROKA Company fixed paddle has been designed for an optimal paddle with a lighter weight than the 2 and 3 part paddles and therefore a more interesting nervousness. This means that there is less energy loss with a fixed paddle during the train than with an adjustable paddle. The SROKA Company adjustable paddle is in this case a paddle with the possibility to modify the height according to the practice and the adjustable function allows to lend it to a friend without worrying about its size. On the other hand, the more parts you have (paddles 2 and 3 parts), the heavier your paddle will be. Aluminium paddles are heavier but very strong. Their price is very attractive and will suit perfectly those who row only a few times a year. However, if you use it in winter, note that aluminum retains cold. 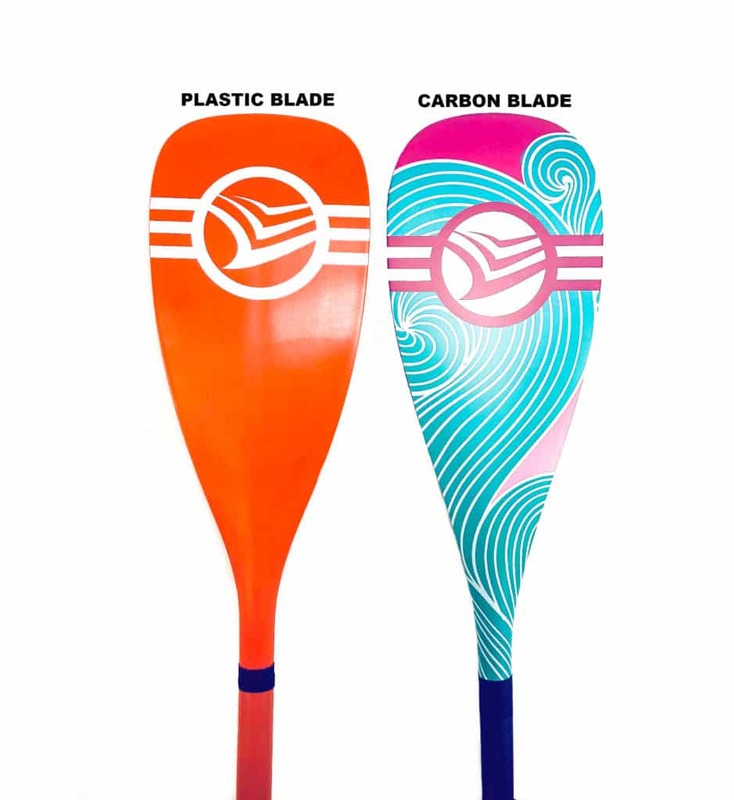 Carbon paddles are the best paddles on the market in terms of quality. They are both light and strong. 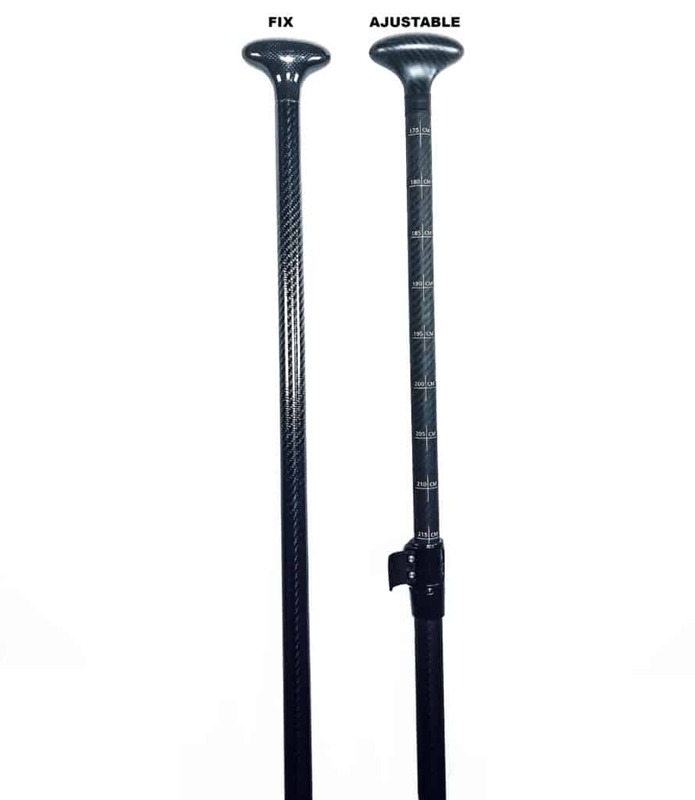 Depending on the models and the percentage of carbon : 100% carbon and 50% carbon, they will be more or less rigid. 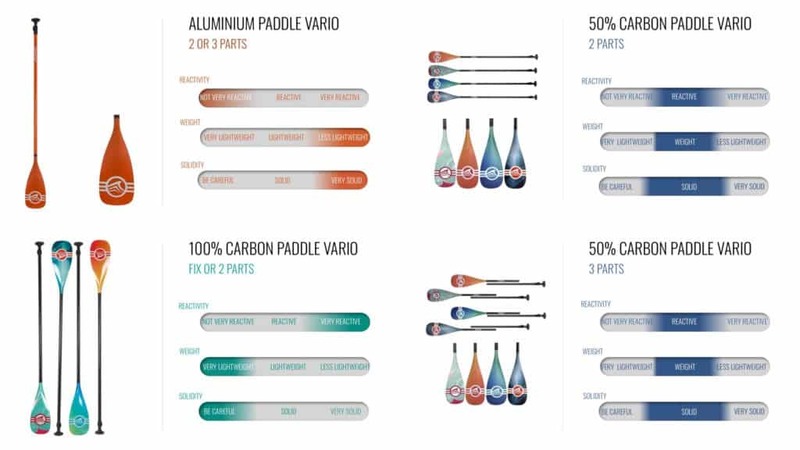 The flexibility of the carbon paddle is more nervous than that of the Aluminium paddle. 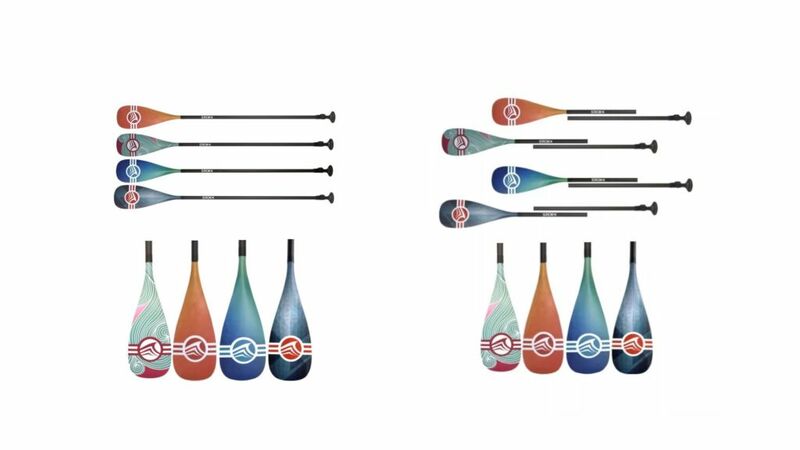 In other words, if you want to row in a more sporty way and you go into the water regularly for a sporting practice, we recommend a carbon paddle for a more optimal paddle and especially for a product adapted to its practice. The plastic blade is very strong and even unbreakable. It’s the perfect compromise for the family. We have developed a child paddle with a plastic blade, particularly resistant and therefore adapted to their use. The composite blade (carbon) is lighter and more fragile but also more nervous. This is the ideal solution if you row regularly. Note that the surface area of the blades is becoming smaller and smaller in order to make the effort less physical on the shoulders. The paddle is the engine of your paddle. 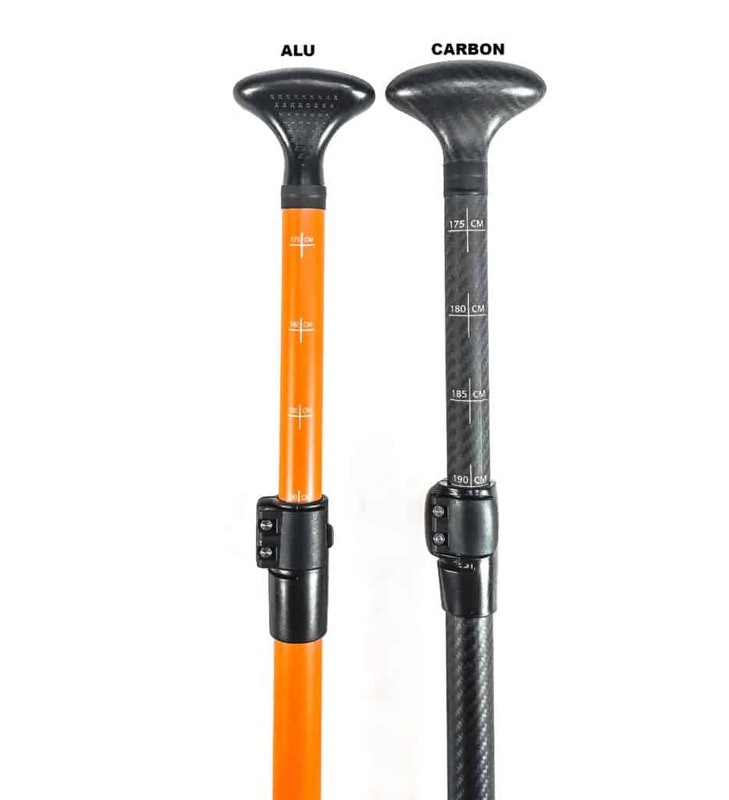 Avoid leaving your carbon paddle exposed to high heat, for example in the car in the middle of summer: carbon paddles are sensitive to high heat. even if a paddle is relatively strong, carbon does not like impacts, so avoid dropping it. finally, note that if there is little risk of breakage with a plastic paddle, a carbon paddle is more fragile and requires special care.